Prices were really good to "
"I was really impressed with the polite and courteous Jordan. He arrived on time, talked over my concerns with my dog being around and any questions I had before he started to spray for spiders. Job was done cleanly and efficiently. Payment was easy and no fuss. I would definitely recommend pest Control Services. " "I couldn’t recommend pest control services more highly. This team is professional and expert in their work. We had utter trust of them in our much loved 105 year old wooden home, helping us win the war against the awful borer ! Shahi did a thorough treatment and then followed up with visits when necessary as part of the original package. What a great team, highly recommend and great value too "
"We were advised to treat for borer and contacted Shai. He promptly inspected the property and advised what was needed. His team did a clean and efficient job of saturation spray treatment according to the quote. Friendly and reliable. " "Our cat brought in a live rat. Shailendra was great as he came around quickly and got rid of it for us. He also laid some bait stations. He was professional and friendly and I'd definitely recommend him. " "We had cockroach issue, Shailendra and his team has been quick, prompt and professional. fantastic service, i would highly recommend their service to every one. "Shai is the man! Great communicator and responsive to all queries and always return a missed call and to emails. He's understanding and strives to ensure he can fit in your required schedule. Shai and his team are always on time and delivers the expected outcomes. I've had a great experience dealing with Shai and his team to eradicate a German cockroach infestation for a residential property. I've had last minute urgent emergencies and unexpected change of schedule and Shai was very… understanding and was able to schedule his team for the job. Highly recommended." "We had ants - lots of them. I rang Pest Control and Shai came out that afternoon. He was very friendly and very knowledgeable. He spray in the house and outside the perimeter of the property. For 2 whole blissful months we didn't have ants - then we noticed them outside on the deck so I called Shai and he came out again and sprayed again and advised that this was problem another nest. I didn't feel so apprehensive that the ants were back with a vengeance - I knew that it was probably a… combination of the warm weather and a new nest, and Shai did mention it was likely they would/could come back. I highly recommend Pest Control Services Wgtn and wouldn't hesitate to call them again. Thanks!" "The speed of the service was fantastic, someone came around within a few hours of my call. Graeme was brilliant – he was really friendly and explained all the options very clearly, and then went on to install the various traps/stations very efficiently. Highly recommend." "Prompt. Knowledgeable. Asked plenty of questions. Thorough." "We had a sudden invasion of ants and although Shai had a busy afternoon he promised he would sort us out so came at 8pm! I was so relieved he came the same day. The bait was very effective and we haven't had any ants since they died away. Very knowledgeable and great customer service, even called to check how we were getting on. Happy to recommend. Thanks so much Shai! " 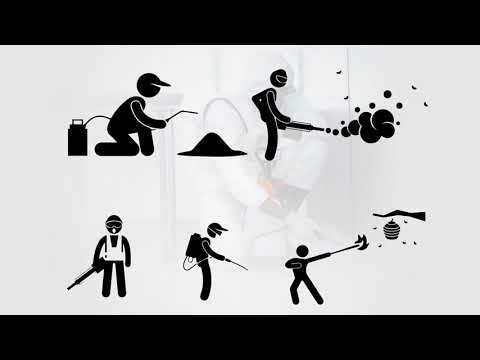 Pest Control Services Wellington is a locally owned and operated Pest Control business offering dependable pest control services to customers in Wellington and the surrounding areas, from treatments against most pest encountered in Domestic and Commercial premises. We are highly experienced, so you can be rest assured that we will deliver nothing but superior workmanship every time. Our business model is set-up to provide quality pest control services at affordable prices. We provide the Most Up-to-Date Pest Resolutions Available & use a Green Approach to Taking Care of Pest Problems. Urban Pest Control in Borer Treatment, Rodent Control, Wasp and Bee Treatment, Ant Treatments, Bird Control, Bedbug Treatment, Flea Treatment, Feral Cat Removal, Spider Treatment, and De-Webbing Service, Cockroach Treatment, Silverfish Treatment, Stored Product Pest Treatment, Fly Control, Carpet Beetle and Carpet Moth Treatment. Sanitation Treatment, Thermal Fogging.